You only turn 90 once and we feel very fortunate to be reaching such a big milestone in our business. Here are a few of the exciting 90th projects we have in the works. 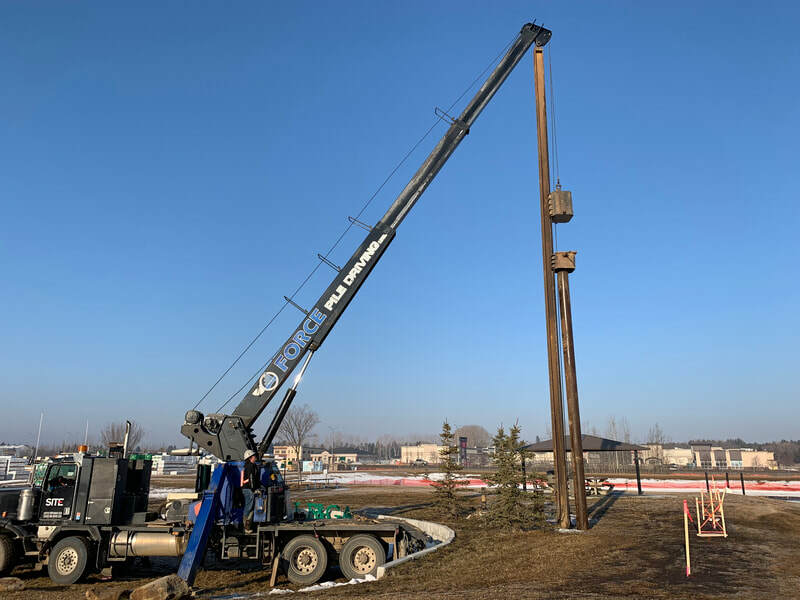 Lacombe, Alberta, Canada – Thompson-Pallister Bait Co. Ltd., the manufacturers of Len Thompson Lures announces the construction of the World’s Largest Fishing Lure in Lacombe, Alberta. 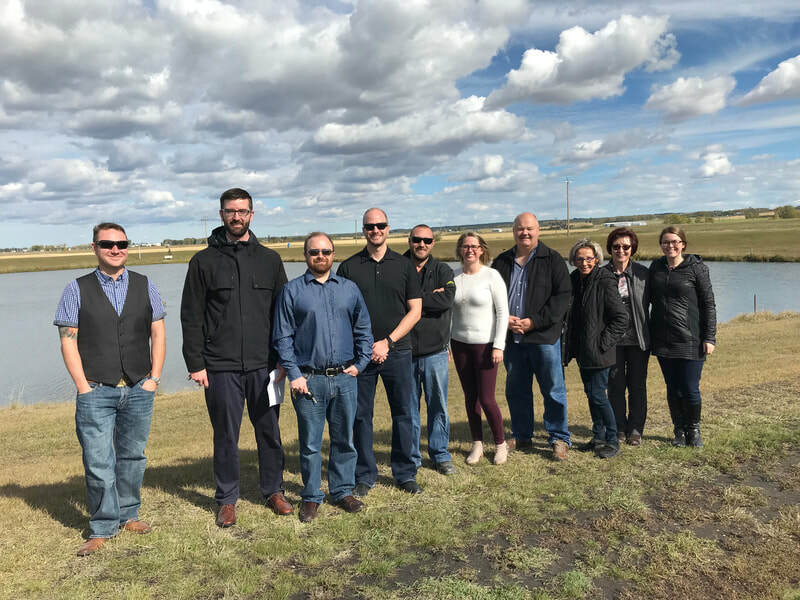 The project is being tackled in partnership with The Lacombe Fish and Game Association and Echo Lacombe Community Grant Fund. 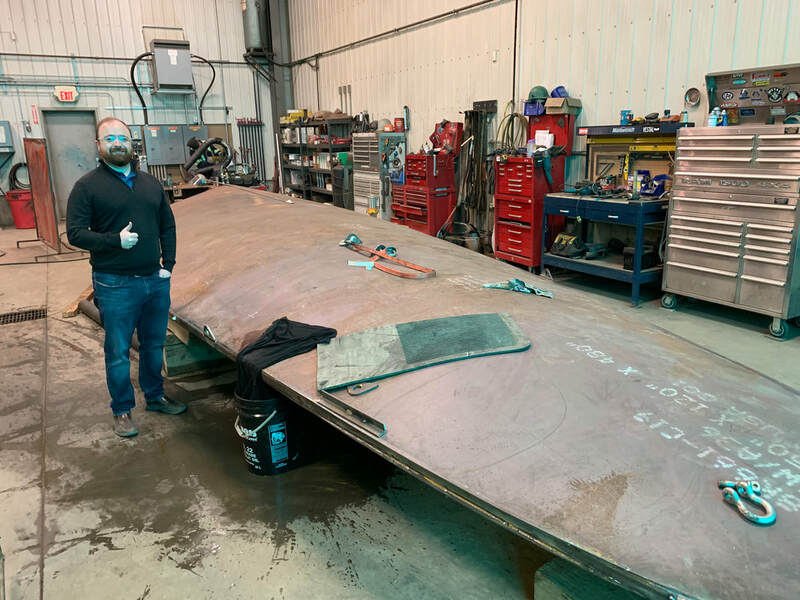 The giant spoon is currently being fabricated by local business and Len Thompson neighbour, Comet Welding. 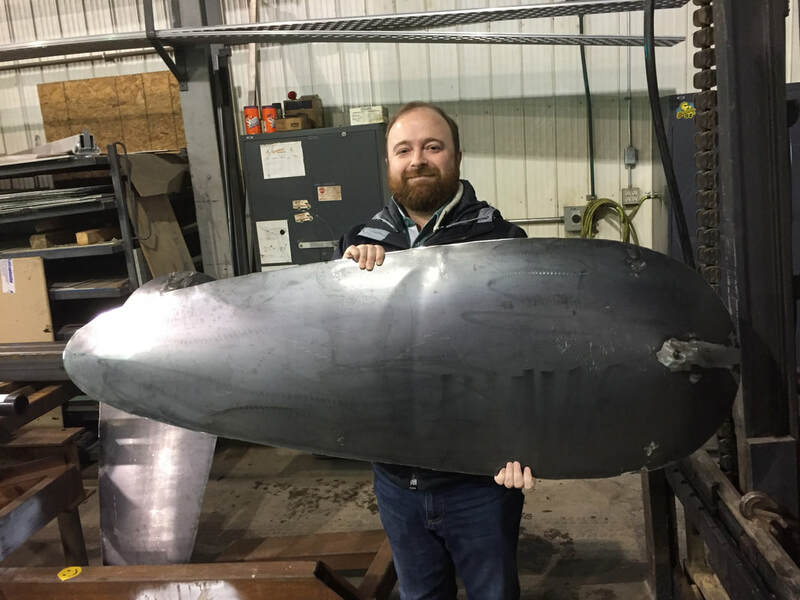 Once complete and installed, the project and specs will be submitted to Guinness World Records for verification. 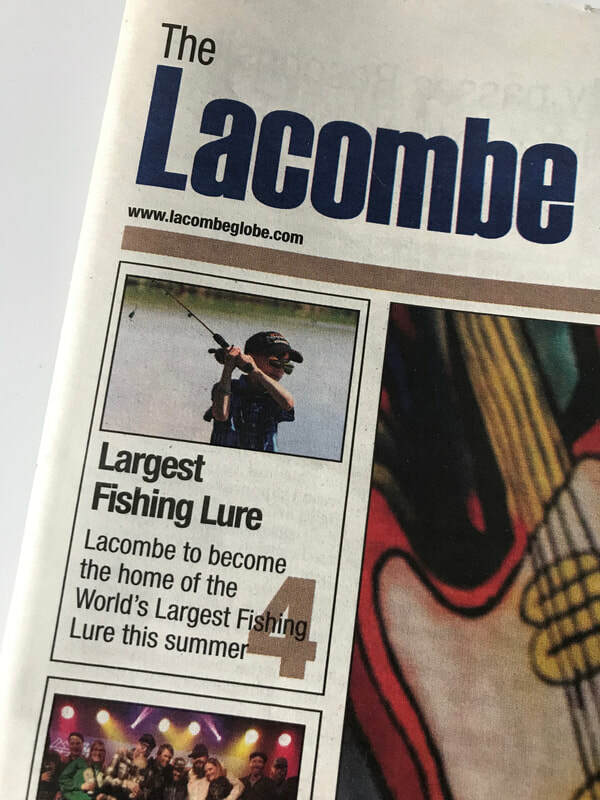 According to the Guinness website, the current World Record for largest lure is currently held in Texas, USA featuring a 15ft body length. In contrast, Lacombe’s project plans are currently drafted at a lofty ~28ft (not including hook or supporting structure). 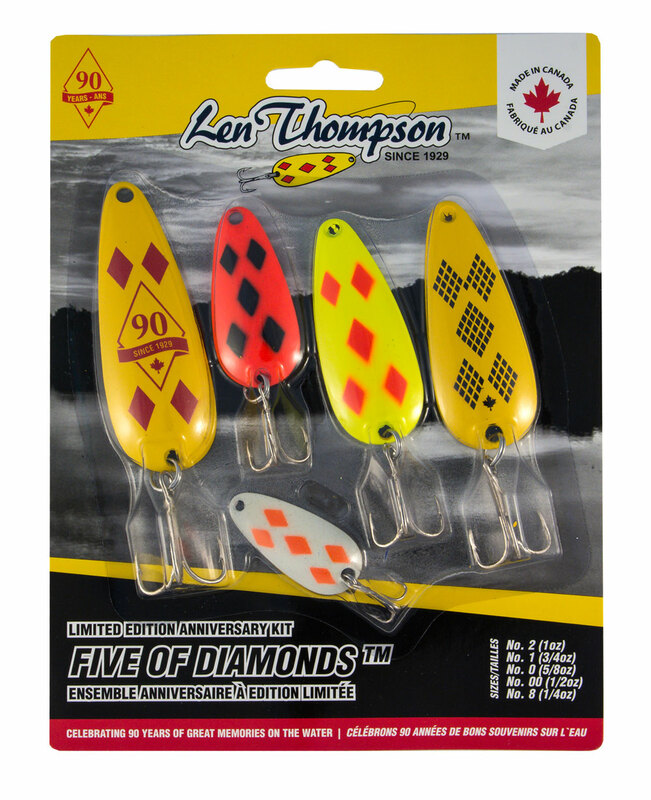 Of course, Lacombe’s lure will be painted with Len Thompson’s most popular pattern, the Five of DiamondsTM. 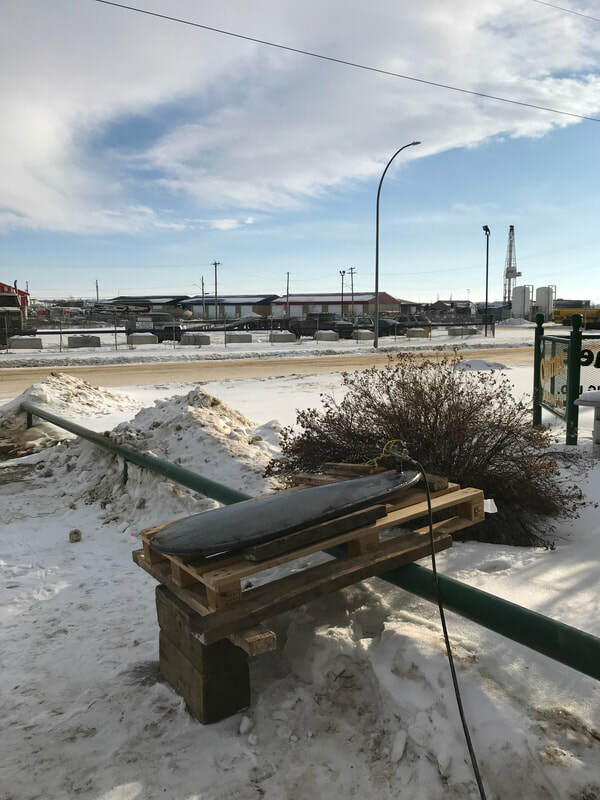 “We have been a bit hesitant to release our plans without a firm timeline but at this point the development application has been approved, the steel plate formed and the pilings have been drilled on site. 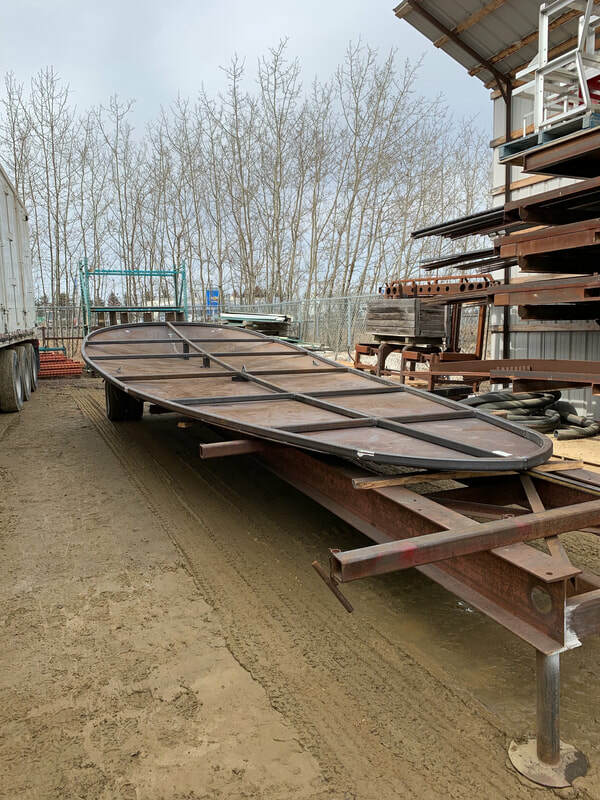 Things seem to be moving forward” says Thompson-Pallister Bait Co. Ltd. President, Brad Pallister. 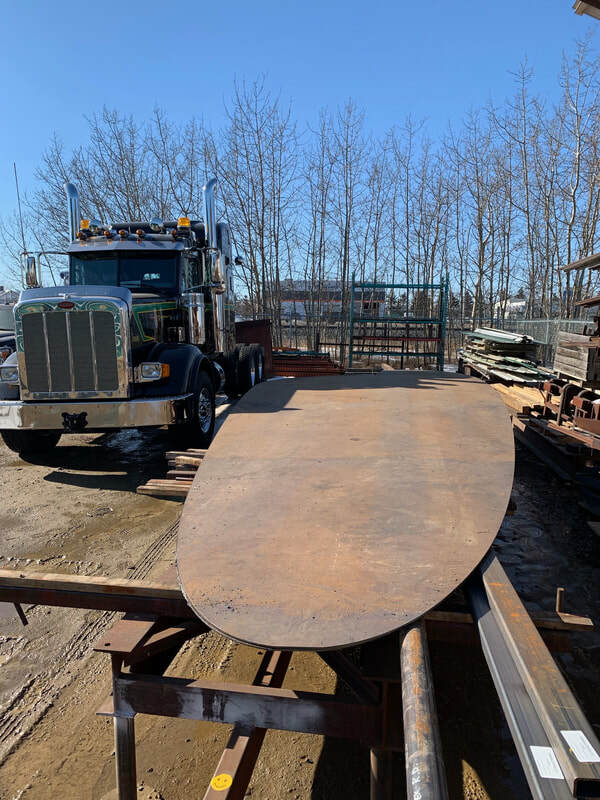 The structure will be located at the Len Thompson Pond, situated at the end of Len Thompson Drive and easily visible from Highway 2A. Recently upgraded with new picnic tables, a gazebo and various fishing platforms, the Len Thompson Pond is already a known community hub. 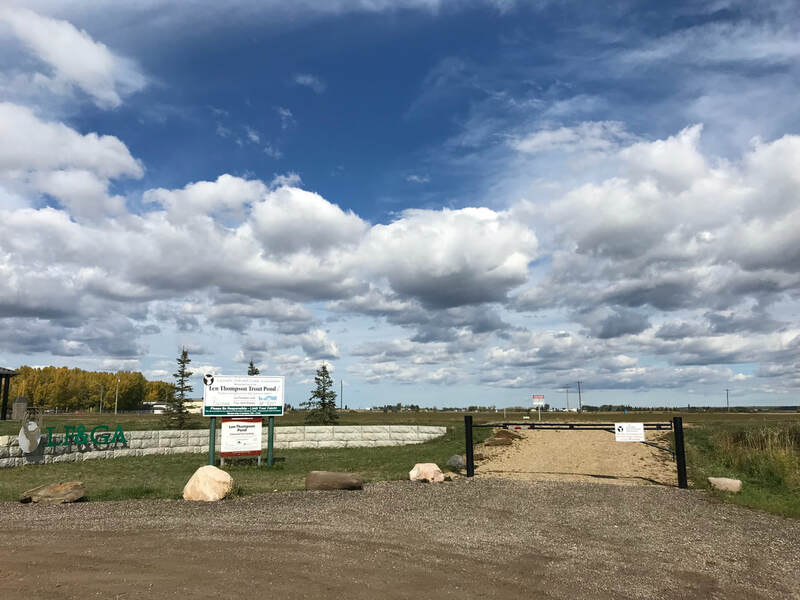 Managed by the Lacombe Fish and Game Association, the waters are stocked annually with rainbow trout providing accessible fishing opportunities for locals and visitors of all ages. 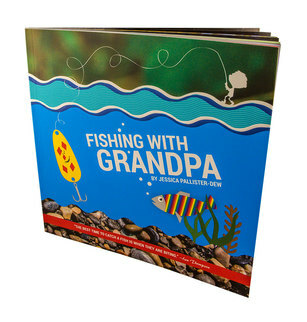 Created by Len Thompson's Great-Granddaughter, this is a story about a Grandpa teaching his two grandchildren — Ellie and Max — to fish. Grandpa must exercise patience while encouraging the kids to do the same. ​Tag along on their adventure to remember that the best memories are made in the great outdoors with family and friends. Len Thompson himself was colour blind, but could more easily see yellow. 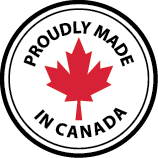 Thus, the original Five of Diamonds™ was painted in yellow and black and first appeared on paper invoices in 1951. A silver and red was also offered but it was quickly swapped out in favour of the yellow and red. Since then, we have added other Five of Diamonds™ patterns utilizing newer paint technologies such as UV (Ultra Violet) and Super Glow. Yet, the yellow and red Five of Diamonds™ continues to be Len Thompson’s top seller. We have partnered with Black Bear Island Lodge and Fishing the Wild West TV to create an opportunity of a lifetime for two lucky female anglers. Thank you for helping us celebrate and empower the women willing to stand up and say. "Heck yes, I love casting a line. Do you?" For notices on future events and contest announcements, please subscribe below!